​The longstanding ethical debate of letting alleged steroid users into the baseball Hall of Fame has reverberations reaching far beyond Cooperstown. In the case of the ever-approaching boiling point, the stovetop is on high. ​Barry Bonds has been on the Hall-of-Fame ballot for seven years, inching ever closer to baseball immortality in spite of the opinions of purists -- old heads who frequently forget the use of amphetamines, greenies and all kinds of now-illegal means from the so-called golden age of the game. The spotlight wasn't as bright back then, and we didn't dare look in the darkness between a rock and a hard place. But even if you decide to take this hypocritical and convenient way of thinking, it shouldn't matter. 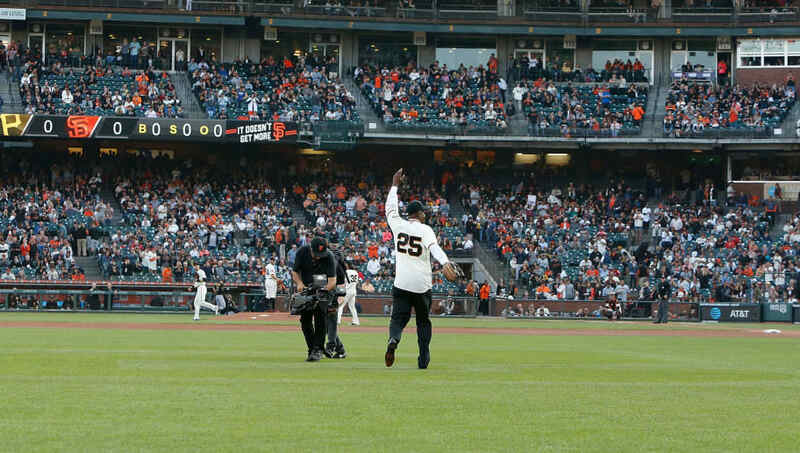 Bonds is a Hall-of-Fame talent, with or without his ridiculous 762 home runs. ​Bonds' 762 bombs are unprecedented, but unfortunately not lacking in substance. His ties to performance-enhancing drugs are undeniable, and contrasting from that evidence is not a road baseball writers should go down. It's reprehensible and goes against the very fabric of holding even the greatest of players accountable for their actions. So what happens if we detract Bonds' otherworldly power? Where does he stand? Barry Bonds hit a Major League record 762 home runs. If all of his home runs were strikeouts, he would still have both a higher on-base percentage and a lower strikeout percentage than Willie Stargell, Reggie Jackson, Mike Schmidt, Sammy Sosa, and Alex Rodriguez. OBP is far from an advanced metric, and Bonds for his career owns a ridiculous percentage of .444. This includes four seasons -- from 2001-04 -- in which he reached base in more than HALF of his at-bats, with an incredible .609 metric in 2004. If nothing else, Bonds deserves credit for having the best batter's eye in the history of the game. Barry instilled fear in opposing pitchers like no other. With or without PEDs, Bonds' reputation alone -- the possibility of him embarrassing a pitcher in the pre-social media age -- led to an MLB-record 688 intentional walks. This includes an IBB with the BASES LOADED against the Diamondbacks at the height of his reign. The seven-time MVP is on record as having taken BALCO substances during his 2003 campaign (and likely shortly thereafter at minimum). However, even pre-2003 Bonds was on pace to be one of the greatest outfielders who ever lived, specifically for his plate coverage, speed and fielding ability. Bonds won eight gold gloves prior to the BALCO scandal. That's not nothing. The best argument for Bonds' inclusion, however, remains the 2017 induction of former commissioner Bud Selig, who oversaw the steroid era and turned a blind eye. Whether it be intentional misdirection or ignorance, ​Selig was in charge while MLB advertised the home run ball as the almighty deity of the sport. And fans ate it up. MLB is still dealing with the ramifications of willful ignorance by those in charge to benefit their checkbooks. Fans consistently assume rival stars are "on something," while failing to realize that all of this is due to a culture of corruption which went unprovoked and untouched for a decade-plus. Bonds is no victim. He thrived in a shameful era of the game and is rightfully punished with a virtual asterisk next to his name. But we cannot continue to play morality cops after letting in the police chief. Bonds has done his time.